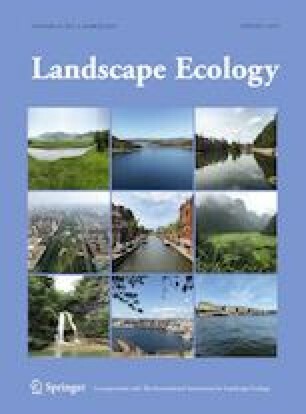 Political decisions and policies, as well as bio-physical factors are very important drivers of urban agglomeration, yet studies researching links between those factors, decision-making and landscape change associated with these processes are lacking. The objective of this study was to explore the urban agglomeration pattern and process of Kunming–Yuxi driven by recent political and economic decisions, as well as topographic factors. We used multi-temporal Landsat imagery to create land cover maps and detect land cover changes from 2000 to 2015. The spatial trend surface analysis and lacunarity index were used to quantify the homogenization process of urbanization between Kunming and Yuxi. Land cover maps showed that built-up area increased remarkably reaching about 13% of the total area in 2015, and agricultural land declined from 12.2% in 2000 to 6.7% in 2015. Moreover, more than 90% of urban areas are located in flat areas. Spatial trends revealed the agglomeration of Kunming and Yuxi city. The lacunarity analysis also indicated that the homogeneity of built-up space increased resulting in increased connectivity of the cities. Spatial trends and lacunarity analyses support the finding that moderate urban homogenization and agglomeration formation took place during the past 15 years. The “Integration of urban agglomeration of Kunming and Yuxi cities” agreement signed by the governments of the two cities in 2011, along with other similar policies, has contributed to the urban expansion. Moreover, because of the rough topography of Yunnan Plateau, the urban growth has also been shaped by topographic patterns. This work was supported by grants from the National Natural Science Foundation of China (41761040 and 41361046), and the foundation of Innovation in Culture Adaptation: Fostering Sustainable Community-Based Natural Resource Management in the South-Western Ethnic Minority Region, China (15XSH023). We are grateful for the kindness and generosity of people in the Government of Kunming City, Yunnan Province, who helped us conduct our work.